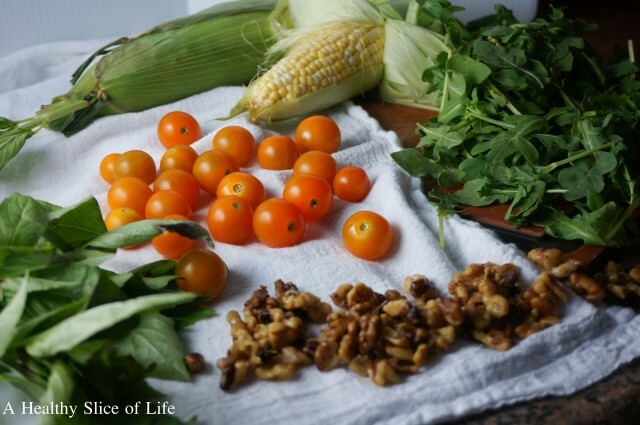 If you’ve been reading my blog for more than a minute, you know I’m a meal planning fanatic. I have an entire tab dedicated to weekly meal plans I’ve shared. One of the secrets I’ve learned along the way is to pick out some family favorites and keep those on repeat. Because of that, we do a lot of cycling through our favorites. 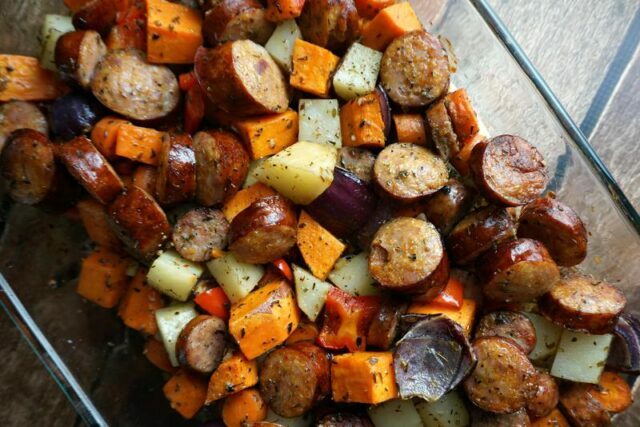 At least once a week we end up eating this Paleo Sausage and Veggie Bake. I did a scope (@ahealthyslice) a couple of nights ago showing how easy it is to prep, but then Kaitlyn wanted to get too involved and you got to see the chaos unfold live- ha. We also regularly eat my mom’s spaghetti recipe (coming soon after I get her permission). Sometimes with zoodles or spaghetti squash and other time with good old fashioned spaghetti noodles. 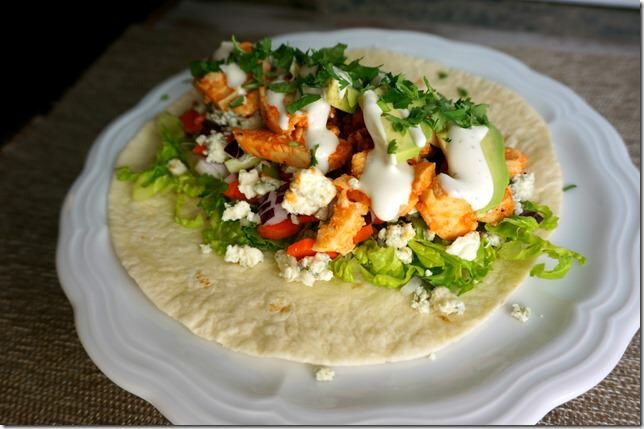 We often do a dinner centered around buffalo chicken, either grilled sandwiches, salads or wraps. If we do steak, I love this marinade. If I’m going with a basic stove top chicken, we love this lemon pepper chicken (not so much the asparagus part, but the chicken is awesome). The best black bean burger I’ve found is Emily’s recipe. And if we are getting fancy on a weekend and doing seafood, I either make my go-to crowd-pleasing salmon, Greek shrimp pasta with tomatoes and feta or these incredible lemony tomato scallops if I’m splurging. We usually do a Mexican night too, whether it be tacos, fajitas or just layered fiesta bowls. And honestly, that about wraps up our regulars. They are all incredibly delicious, but keeping our favorites on repeat can start leading to getting in a rut. That’s where Blue Apron (post sponsor!) comes in. If I had to name my favorite thing about Blue Apron, it wouldn’t be the convenience, the delicious new recipes they are always creating or the farm-fresh ingredients that arrive at my doorstep the perfect amount (though all those things never fail to impress me). Nope, it would be the incredible tips, culinary techniques and new ideas I’ve gotten from following their delicious recipes and simple, illustrated instructions. These new techniques aren’t anything fancy, but they are methods I’ve never tried before that are so SIMPLE and delicious, they make me wonder why I’ve never tried them myself. 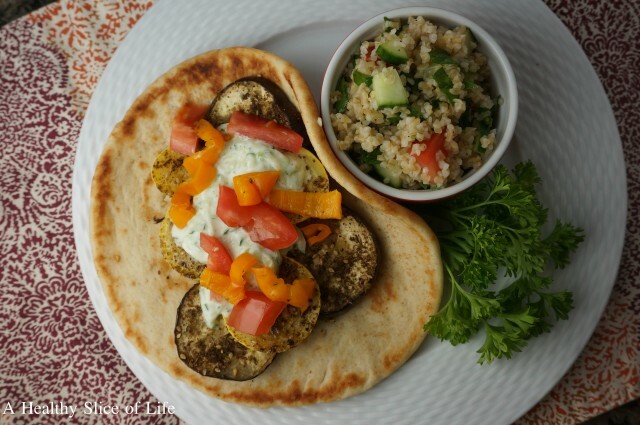 For example, grating cucumbers and mixing them with plain yogurt and a dash of salt and pepper to make a delicious pita topping. I have a tendency to add a lot of herbs and spices to my meals to make them flavorful, but Blue Apron reminds me that if you start with fresh produce then it’s really quite easy to get the natural flavors to shine. This combination of tomatoes, chopped fresh basil, olive oil and salt and pepper was delicious on its own and downright incredible when incorporated into polenta dish it came with. The fun thing about playing in the kitchen is that there are so many different ways to make delicious food. I always think of pesto being made in the food processor. 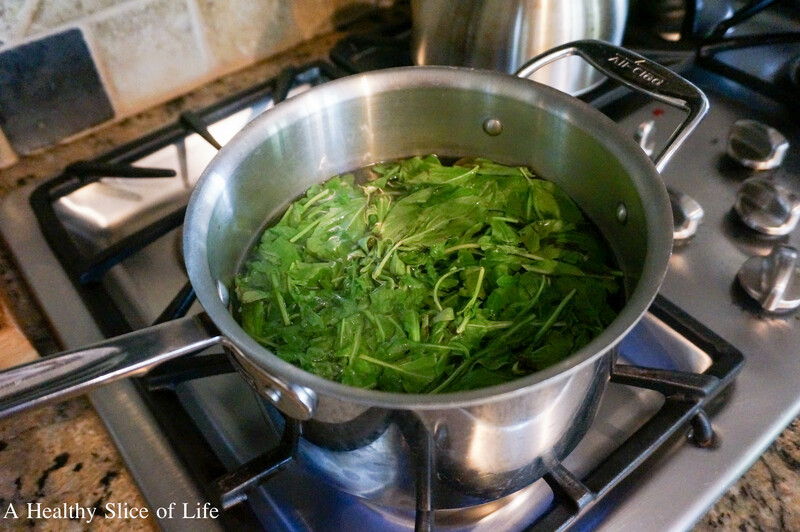 I never considered wilting basil and arugula on the stove. 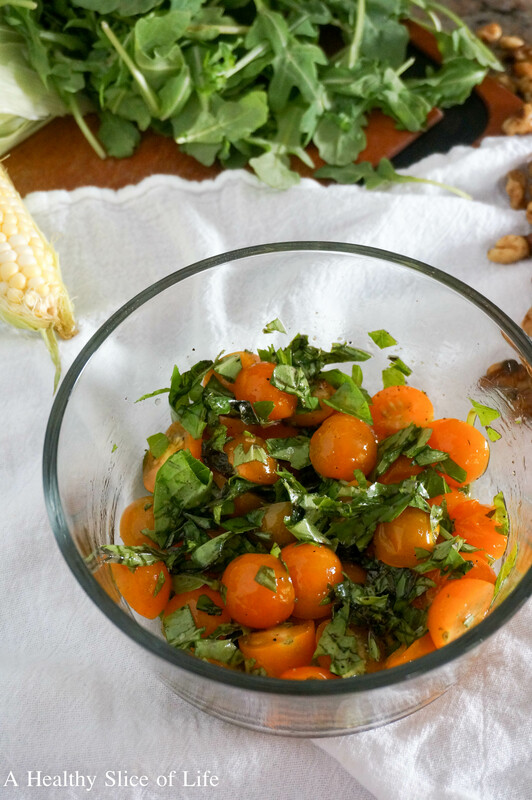 Then finely chopping it into a fantastic, chunky arugula and walnut pesto. I’ll be honest, keeping up with new recipes every week is intimidating. It takes time and effort to focus on a new recipe, which is how we all end up accumulating our favorites in rotation. But I know I can’t be the only one that gets stuck in the rut and just wants to try something new. Until I have time for weekend culinary classes, Blue Apron is providing me with simple techniques for making delicious meals that look fancy and taste incredible. For those of you not familiar with Blue Apron, they are a service that allows you to create delicious, chef-designed recipes at home by delivering all the fresh ingredients you need to your front door in the perfect amounts and providing detailed instructions with pictures to take out any guess work. Blue Apron offers two options. There is a two-person meal plan which sets you up with three (two-person) meals a week for $9.99 a meal. They also offer a family plan, which I chose, that includes two (four-person) meals to be served family style for $8.74 per meal. Shipping is always free and there is a wide selection of recipes, with new ones being added every week. It’s especially great if you are interested in learning how to cook outside your comfort zone. For me, it’s learning all their vegetarian recipes techniques because they make veggie based meals that even David finds delicious and… wait for it… satisfying! Not an easy feat for my meat-loving husband. I can’t wait to try their Spiced Chickpea Burgers! The first 30 readers will get TWO FREE MEALS on their first Blue Apron order. Just CLICK HERE. 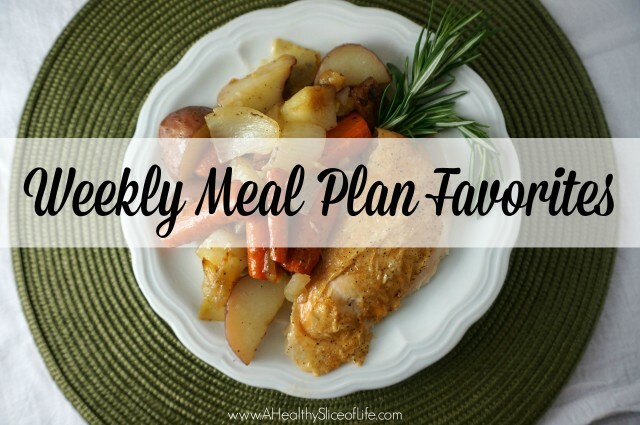 Hope this post was able to give you some ideas as you head in to your meal planning for next week and if not, let Blue Apron help you out! What are your weekly go-to favorites? How do you handle getting stuck in a food rut? Tacos and pasta are two of our fall back recipes. I almost always have the ingredients for it and it’s so easy to put together! It definitely helps having some go-to recipes to avoid giving up and ordering out! 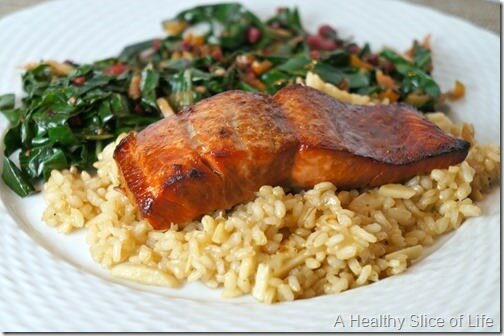 Roasted Salmon is one of go to meals every week. I am also a big fan of roasted veggie salads. [email protected] recently posted..Friday Favorites: Love All The Things! Emily’s black bean burger is THE best! I love it! I think having an arsenal of relatively simple dinners is key for us. Chicken with pesto and pasta, burgers, Greek pitas, and burrito bowls are always our fall backs. 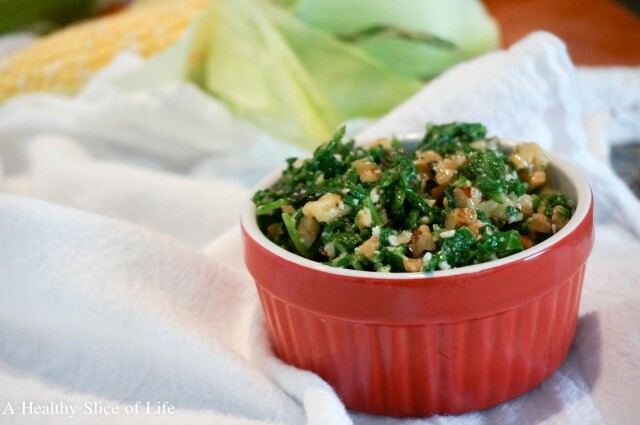 I’m actually in a cooking rut right now, so this post is perfectly timed! Ha ha. And OMG! I clicked on your Blue Apron link figuring they still wouldn’t be delivering to our area, but they are! I am soooo excited to try it out! Loved the periscope of the sausage and veggie bake (and Kaitlyn!). We are definitely going to try that next week. Speaking of cooking classes…did you see the new Sur la Table opening next to Whole Foods?? If you ever want someone to go to a class with, I’ll go! 😉 I can’t wait to have a place to have cooking classes here in Huntersville. But I have a 2 year old and one on the way so it’ll probably be a long time before I can do that regularly too lol! 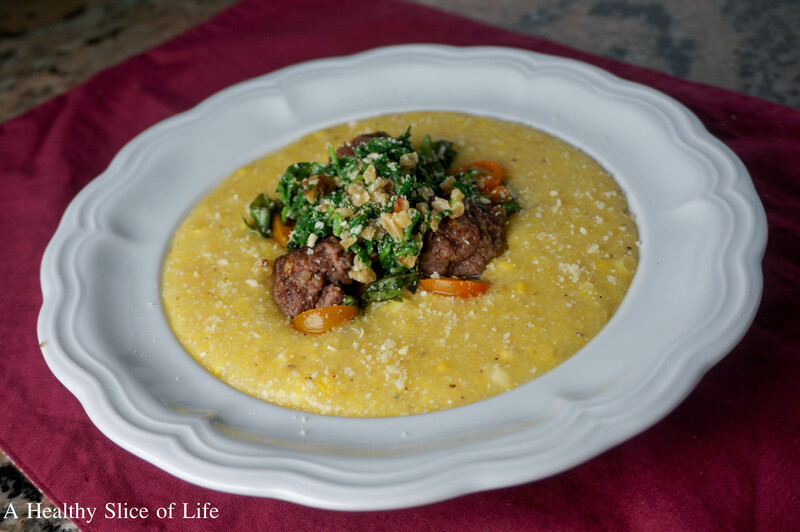 i have a few tried and true recipes that I will rotate in my weekly meal plans. Plus, I try to do 1 or 2 new to us recipes every week. I get these from either blogs or my subscription of Cooking Light. This post was right on time for me! 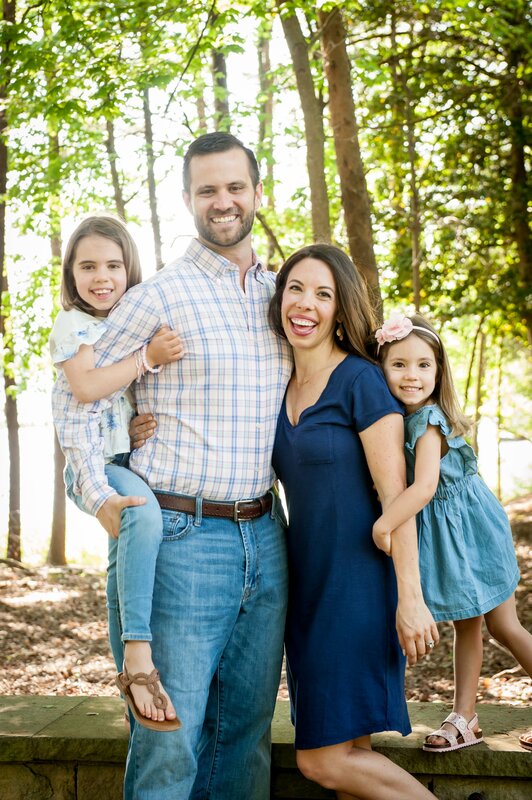 I’m in such a rut when it comes to meals and I want to plan it out or try new things and I really want to involve my kids (4 1/2, 16 months old) as they are both interested. I can’t wait to try some of these. I’m trying to get the hubby on board with trying Blue Apron. I love that it actually can help inspire you with cooking. Great perspective! Thanks for the great ideas. How absolutely delicious does all of this look? YUM! I love Blue Apron! I FINALLY did it! Your 2 free meals gave me the motivation to finally try Blue Apron! I’ve never done it before because of the cost of it (honestly, I can buy food for WAY cheaper for three meals!) and because I prefer not to eat pasta, which they have in some dishes. But with two free meals?! I decided to give it a go. I can always cancel or skip the next few deliveries! I’m actually excited to try it out! Thanks for the free meals 🙂 I’ll let you know what I think! If you are a buffalo chicken fan, try the salad version. We make it a lot in the summer. Mix shredded carrot, shredded green cabbage, chopped green onion, and 1 cup cooked quinoa. Grill a few chicken breasts, chop and add them in. I thin out some Franks hot sauce with a little water, add a little olive oil and cracked pepper. Toss everything together and sprinkle with blue cheese. I know there a variations of this recipe everywhere so make it your own! It’s a tasty one!